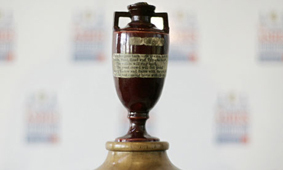 The 2013 Ashes promises to be a compelling cricket battle with England starting the series as keen favourites. There are some great bets to be had including the usual head to head match ups, but also top run scorers, top wicket takers and many more. Here are our pick of the best Ashes 2013 bets. Given the fact that England are at home, and have better recent form than Australia, we have to tip England at $1.45, however there is great value to be had with some of the other bets detailed further down this page. Given we've tipped England, we thinkmthe best value bets here are England 3-1 at $7.00 and England 2-1 at $8.50. There should be at least 1 draw and England are prone to a poor start in test series cricket. We like the look of young Joe Root, he's already causing quite a stir in the England vs New Zealand series, and with many pundits talking about him being elevated to opening batsman alongside the superb Alastair Cook, we think his odds of $6.50 are attractve enough for a bet. Its Michael Clarke all the way for us, and whilst $3.00 is only a short price, he's the only show in town as far as we are concerned. Do you want to place a bet on 2013 The Ashes?